Q:What items can the guest keep? 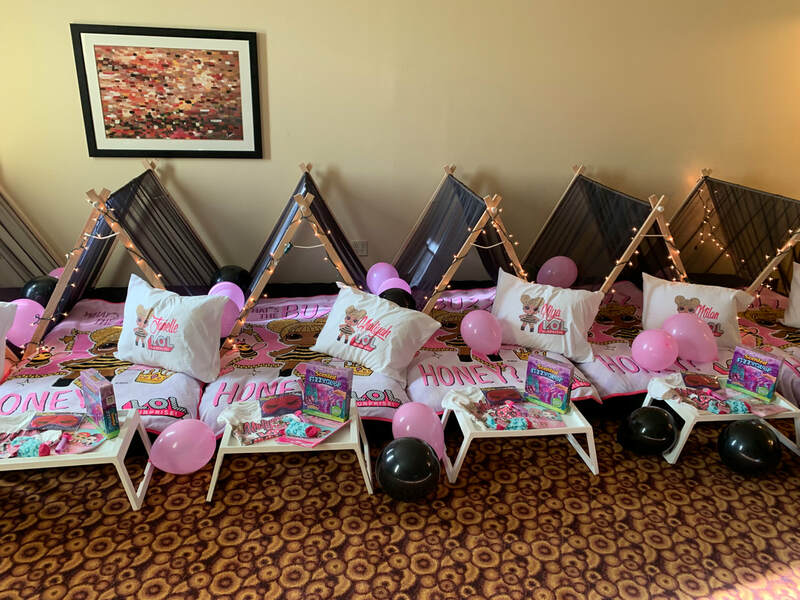 ​A: The guest will retain any of the activities and personalized items such as gift bags, sleeping mask,bedroom slippers, gift sets, snacks & t-shirts. Q: Is the delivery fee included in the packages? A:Yes, the delivery fee is included within 20 miles of our location. An additional fee applies after the 20 miles have been exceeded. Q: Can we add more tents to the party packages? ​A: yes, for an additional fee more tents can be added to the package. Q: How long is the rental time? 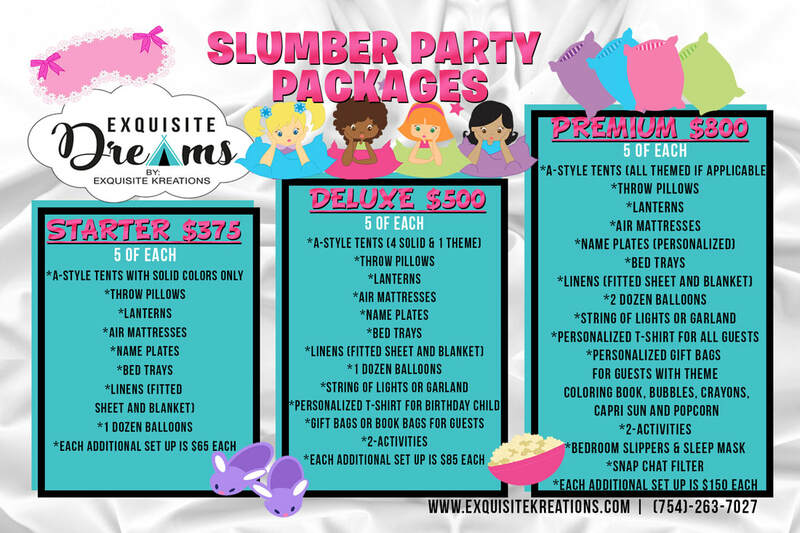 ​A: The slumber party rental is 24 hour with the exception of hotels. Hotels check out times typically range from 3pm-11am. Q: How long does the set up take? A: Set up time varies between 1 hour to 2 hours depending on the amount of tents rented. Q: What themes do you offer? A: We can customize and personalize any theme. Q:What activities do you offer? Q: Do you allow pick ups ? Do you allow pick and drop off service? No we do not. All of our items must be delivered and set up by out staff. A Non-Refundable Retainer in the amount of $100 id required to reserve the date. the balance is broken into equal payments and outlined in the rental contract. There is a $150 Refundable damage deposit required to rent in addition to the party package fee.